It may be bonkers, but I’ll tell you a secret…all the best designs are! 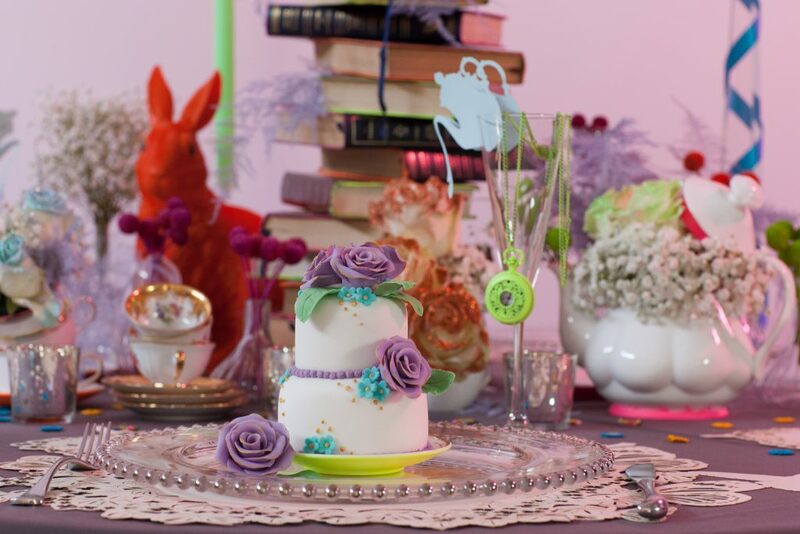 This week we created a rather special & slightly bonkers floral design for an utterly fabulous bat mitzvah. 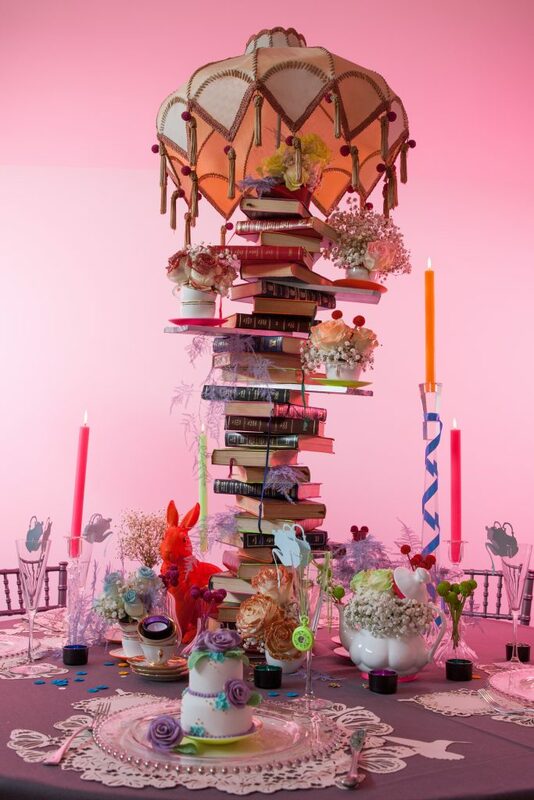 Seeking inspiration from Alice in Wonderland, the design features a stack of vintage books, each hand painted with neon touches, topped off with an incredible oversized lampshade. 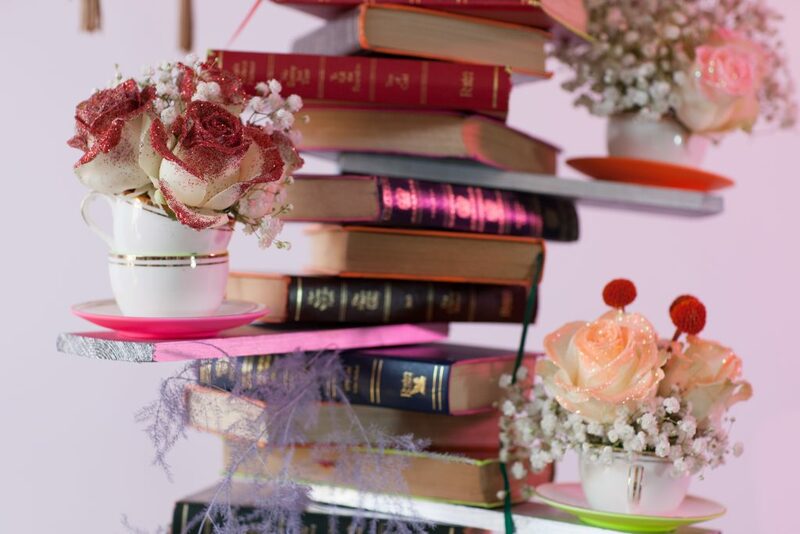 Balancing throughout the design, a vintage china tea set, embellished further with neon detailing supports an enchanting blend of hand-glittered roses, gypsophelia & craspedia. Eclectic glass & crystal candlesticks support fluro candles and the scene is topped off with the inclusion of a fabulous neon orange hare! 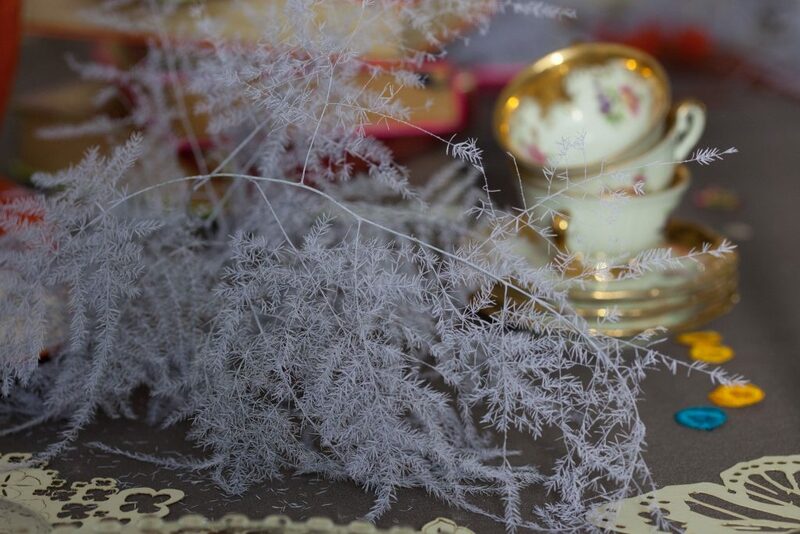 Lasercut glass perchers & place mats from the wonderful team at cutture then add a final finishing flourish. Who’s ready to party?! For more inspiration visit our instagram account: @larrywalshe or contact us to discuss your next party.